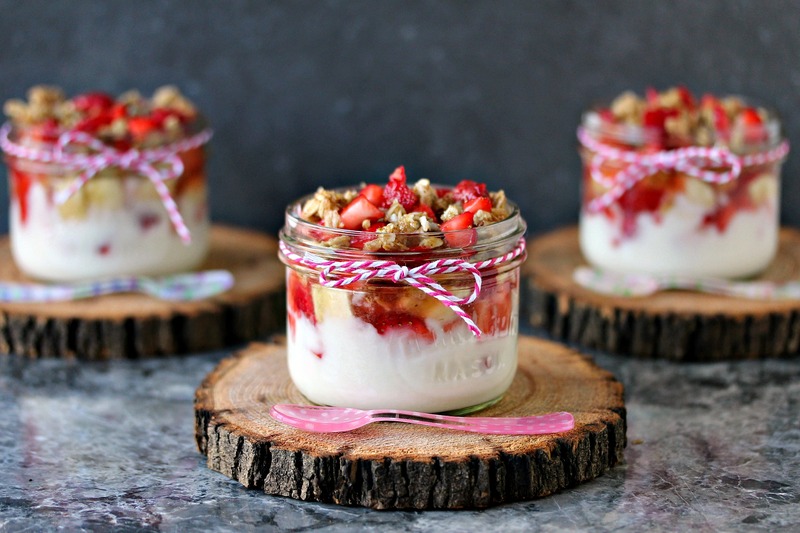 These Breakfast Parfaits are layered with Greek Yogurt, Fresh Strawberries and Bananas sweetened with a hint of honey and coconut sugar, then topped with Banana Nut Clusters. This is a sponsored post for Van’s Simply Delicious®. All opinions are my own, as always. Thanks to all the companies, and readers, who help support Cravings of a Lunatic. Van’s Simply Delicious® and Meijer asked if I would like to work with them to help support Celiac Awareness Month. The idea was to come up with a recipe with fresh simple ingredients. Obviously the recipe needed to be Gluten-Free so anyone with Celiac Disease could enjoy it. I was honoured to be asked to participate in this campaign. Most of my readers know I’ve had I.B.S. for over 20 years. I have so much empathy for anyone living with Celiac Disease. Living with dietary restrictions and chronic illness is difficult. Anyone who struggles with these things knows it’s not always easy to find Gluten-Free options or choices. Luckily companies like Van’s Simply Delicious® make shopping a bit easier. I’ve been tested for Celiac Disease twice in the past, and both times the test has shown I do not have it. However, after my first test I did go on a strict gluten-free diet for about a year and a half. While I’m no longer on a strict gluten-free diet any more, I do try to keep my intake low, especially when my symptoms flare up. I love keeping Gluten-Free snacks available at all times. For myself when I’m not doing well, and for lots of friends who are gluten-free. Van’s Simply Delicious® has amazing gluten-free products available. I love their granola clusters and keep them on hand all the time. I also really dig their Chips, Crackers and Cereal. My favourite is the Banana Nut Clusters I used in this recipe. The campaign kicked off May, with in-store demonstrations happening in 100 select stores. During the month of May, many foundations (such as the Celiac Disease Foundation) are working hard to raise awareness. Celiac disease (gluten intolerance) affects so many people, so the goal is to offer advice and suggestions for a healthy, gluten-free life. You can pick up their products at any Meijer store. We shop there constantly. I love that I can grab my groceries and anything else I need in one store. That makes me happy. Less time running from store to store doing errands is always a good thing in my book. I love one-stop shopping. Meijer rocks for convenience. When I was working on recipes I was naturally drawn to making a simple breakfast recipe. I really struggle with eating breakfast every morning. Recent events have me trying to eat a bit healthier. It’s not natural for me to eat in the morning. I’m usually in a fair amount of discomfort in the morning. It takes a few hours for my medication to kick in, during that time my tummy can be pretty spastic. After a chat with my doctors I decided to try eating more consistent meals. So I eat breakfast every day now. 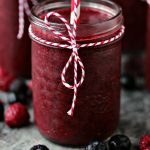 Since I’m not a big morning person, and I’m usually in some mild pain in the morning, I opt for quick and easy recipes. Usually fruit is involved because for me, personally, it doesn’t cause any digestive issues. I can tolerate fruit really well for some reason. So most of my breakfasts consist of fruit in some form. Usually over yogurt, or smoothie bowls. 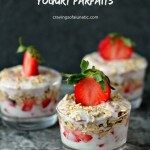 I also really love yogurt parfaits. 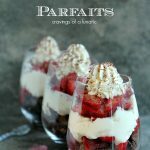 Basically I just love parfaits, period. They’re easy, quick and utterly delicious. Plus they always look so impressive. You can dress them up with fun ingredients and customize them to each person’s taste. I dig that. It makes mornings fun when everyone gets to add their own additions to their breakfast. I can put out lots of options for toppings and everyone can pick their own. Mine usually consist of exactly what you see here. I love strawberries and you’ll see tons of strawberry recipes on my blog. I also really dig bananas, they help with digestive track and they taste amazing. 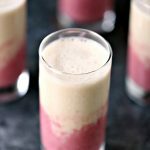 If you haven’t tried strawberries and bananas together you need to do so immediately. This recipe is pure perfection. 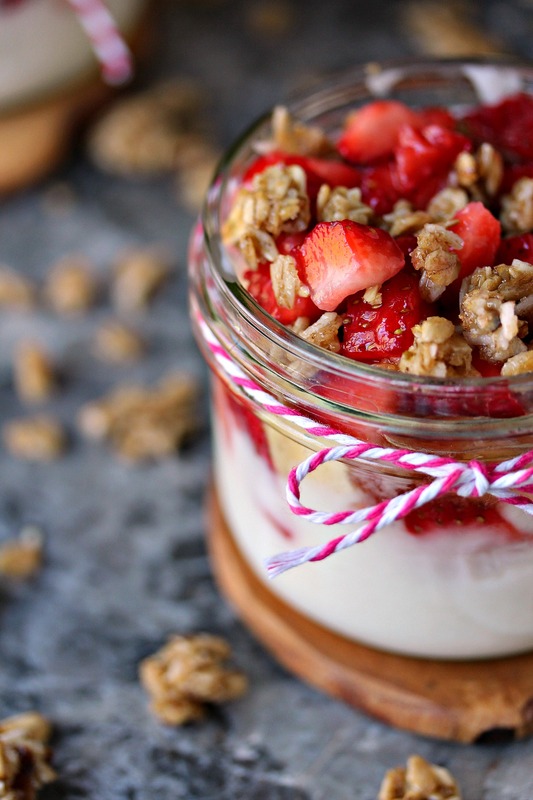 Fresh strawberries and bananas sweetened with just a little honey and coconut sugar, spooned over silky yogurt and topped with Van’s Simply Delicious® Banana Nut Granola Clusters. Your mornings just got more delicious. Mix strawberries with 2 teaspoon honey and 2 teaspoon of coconut sugar. Stir to combine. Set aside. Mix bananas with 1 teaspoon honey and 1 teaspoon of coconut sugar, Stir to combine. Set aside. Spoon yogurt into the bottom of the glasses evenly. Spoon half of the strawberries over top of the yogurt. Spoon the bananas over top of the strawberries. Toss about 1/4 cup of the granola clusters over top of the bananas. 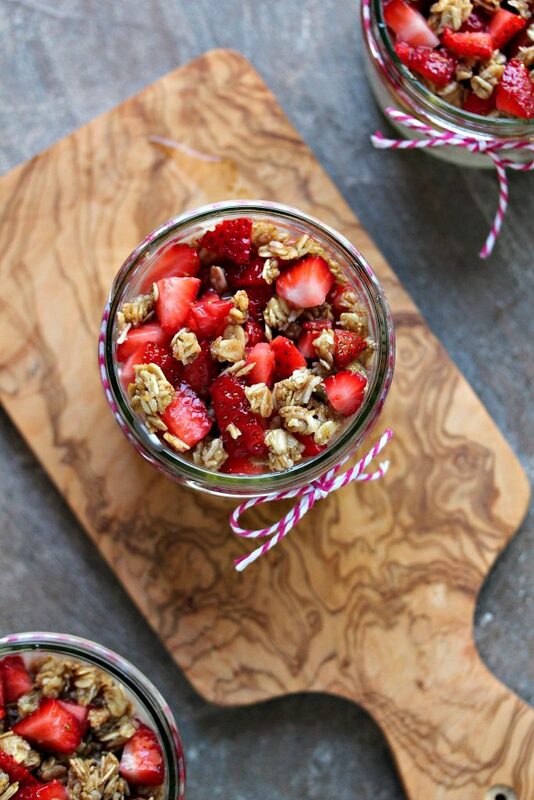 Spoon the remainder of the strawberries over top of the granola clusters. Then top with remaining granola clusters. Break up or leave whole. You can serve this immediately, or chill for 20 to 30 minutes before serving. This is best eaten within 1 hour of making. I suggest making it right before you want to eat it. Serve with a big old granola cluster loving smile! If you don't eat sugar you can leave out the coconut sugar. This is still delicious without the coconut sugar. Same goes for the honey. I like my yogurt parfaits sweet but you can just use fruit without any additional sugar added. Totally acceptable. Swing by Meijer and stock up onVans® Dry Goods. The Banana Nut Granola Clusters rock! Pin This to Your Favourite Breakfast Board! Be sure to swing by my recipe index for more recipes like this one. 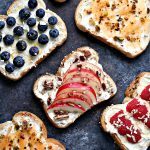 I highly recommend following me on Pinterest and Instagram so you can keep up to date on all the latest recipes from the blog. These look amazing!! Delicious & perfect for breakfast during the hot summer!! Thank you so much Kaitie. Much appreciated. 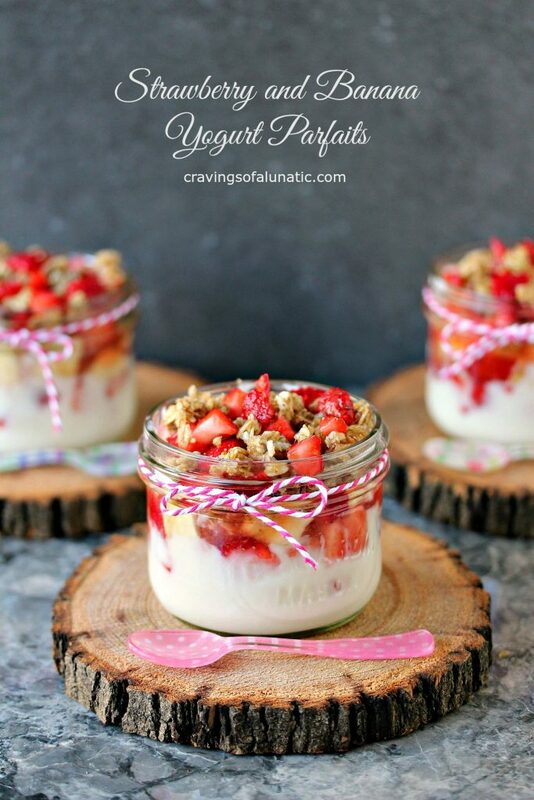 I love fruit parfaits in spring and summer. Such a delicious way to start the day. Thank you so much. That’s so nice of you. I really appreciate it. Such a classic flavor! Love the granola crunch! Thanks so much Rebecca. I’m a huge granola lover. The more fruity the better. This looks amazing! So perfect for spring! Thanks so much Florian. I’m on a strawberry kick lately. Can’t get enough of them.